If you are a hunter or an archery enthusiast, the idea of turning your backyard into a full-blown archery range most definitely has crossed your mind. And while there are folks who’d rather practice this hobby indoors, taking advantage of their garage or basement, others don’t like the confinement and instead prefer the same thing but in an open space. Practicing in your backyard might prove to be much more enjoyable than doing it in a closed place. 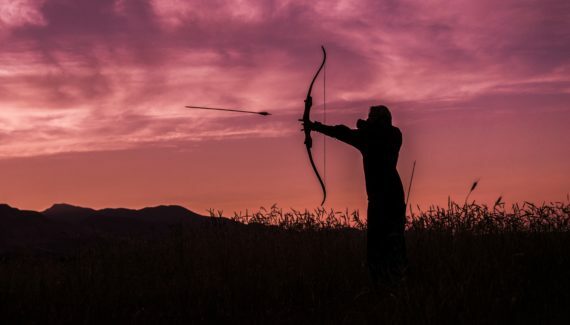 However, regulations might be problematic for you if you want to realize this project because shooting arrows near residential areas might be banned by law. That’s why you should check it first before attempting anything. Grave accidents may occur if you miss your shot and unintentionally hit a neighbor or maybe some animal. 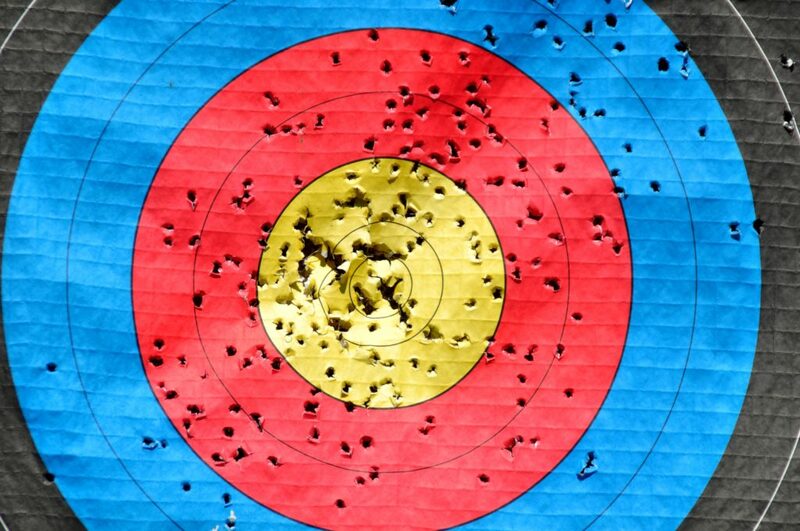 Situations like these are likely to happen if you’re not wary of the danger of practicing archery outdoors. That’s why you must be cautious and keep yourself alert, as especially of anything in motion. Whether be it building a fence around your predetermined archery range, or another solution that you might have in mind, you must ensure that no arrows go past your backyard for the troubles such a threat might cause. So this is something to give some good thought before you initiate any the building process. Tagging the firing line clearly will assure that your distance and precision are on point. And for that, it’s preferable that you either have a line painted on the ground where you should stand, or you can use a rope to get the same result. And this is of particular importance if you are not an experienced archer because as a noob, you will have a harder time hitting your target every time. You should now start positioning your targets if you’ve already ensured the safety of your firing by following the guidelines mentioned previously of course. In the beginning, focus on a single one, and try to obtain a solid idea of the ideal distance at which you can shoot accurately and without difficulty. You can put it as close as ten yards, and even though it looks too easy if you have just begun practicing, it is an excellent starting point nevertheless. Consider this as the tutorial level, where you should hone your skills and get the right feel for your bow before you attempt more difficult levels. Once you reach that point though, you can feel free to play around with the distance and see what suits you best. But don’t get too excited though and overdo it, because much practice is needed. Necessitating only some lumber, a carpet piece and a good amount of time, making a field point target from scratch is quite a simple thing to do. Broadheads must not be used with it though, because their targets are different. In fact, their specific objectives need to hold itself up against the constant pressure you will be exercising with your hits. Moreover, taking off your arrows after successful hits will be significantly facilitated thanks to their unique build. This is the reason that makes crafting your own one a daunting challenge that should only be taken by the more experienced hunters who have a hefty amount of time on their hands. It is not very recommended though unless you want to take up the challenge, because obtaining an all-purpose model doesn’t come at a high cost, with the maximum amount being forty dollars. The last option, 3D targets, are fantastic against a multitude of weather conditions. Field target balls that are premade are suitable for broadheads, so keep that in mind. The ideal way to make a bow stand on your own is by using a PVC pipe, and you seek help from the internet in order to achieve it with ease. If you don’t want to go through all the hassle though, looking for a sturdy and suitable one on the market is not an entirely straightforward task. But conveniently, most of the products out there are affordable and of good quality. After taking care of all these points and ensuring the safety and quality of your custom hunting experience, you have the ability to mimic numerous scenarios, as the purpose of all this trouble you went through is to practice real-life situations. 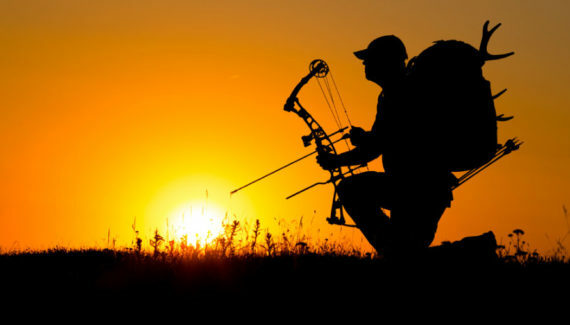 Hunters, archers, and crossbowmen have different necessities when it comes to their practicing sessions, so don’t rush it and make sure you got everything perfectly the way you want it to be, mirroring your real trials. As we all know, practice makes perfect, and what’s better to practice archery with than an archery range in your own backyard! What are you waiting for? Get your crossbow scope, load your crossbow, and start training!